Centrally located just steps from Bantry Bay which is famed in song and story, this Georgian townhouse has been renovated to an exceptionally high standard to cater for the finest accommodation experience in West Cork. 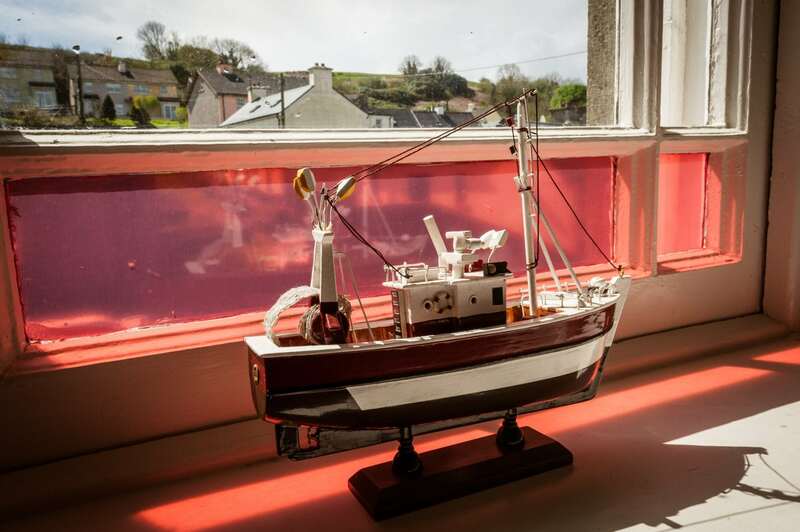 Enjoying views over Wolfe Tone Square and Bantry town, you will be ideally located to explore all the beauty and activities that West Cork and the Wild Atlantic Way has to offer. No. 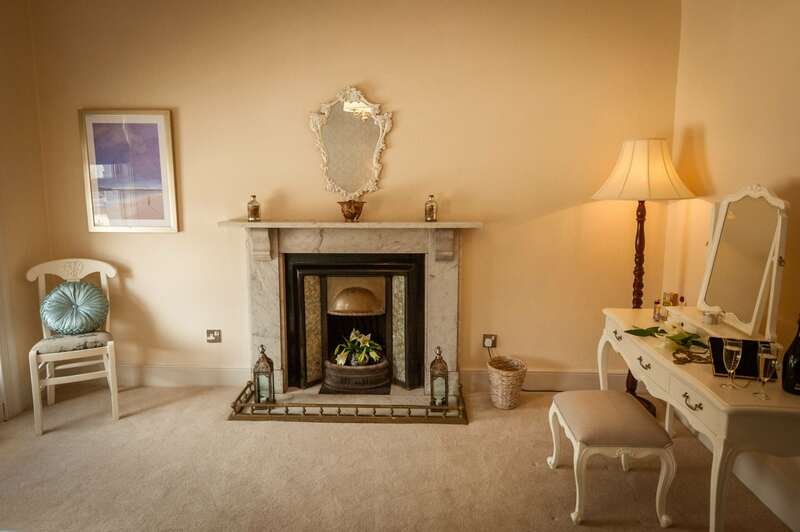 14 Wolfe Tone Square is a large five bedroom townhouse exuding all the class and elegance of times gone by, while still offering all modern comforts for your stay. 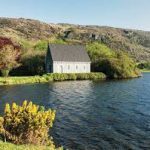 With an open plan design between living, dining and kitchen areas, it offers the perfect space for a group of friends, a family break or a romantic getaway to West Cork. We can accommodate up to 13 guests. 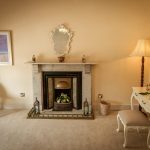 This exquisite townhouse is laid out over three floors with large windows overlooking Wolfe Tone Square and St. Brendan’s Church. The generously proportioned rooms are brimming with character, where modern chic furniture is mixed with unique antiques. Features include a private outdoor deck area, a wood burning stove, five exceptionally styled bedrooms, WiFi, a large satellite HD TV with Netflix, a luxury kitchen with all modern appliances and a bar, which you have the option to stock prior to arrival. The entrance hallway with its original Georgian tiled floor, welcomes you to hang up your coat, remove your shoes and pop on a pair of slippers, then go explore the rest of the house. You will find a useful storage space in the hallway where you can store your muddy walking boots, golfing, cycling or fishing equipment after your day enjoying the many outdoor activities that Bantry offers you. The beautiful carpeted sweeping stairway leads you to the first floor open living, dining and kitchen area. The room has a distinctive maritime theme and is bright, spacious and comfortable. You can get cosy and light the wood burning stove, lounge, read, watch a movie, host a meal or enjoy a glass of wine while overlooking the bustling town outside. There is a separate laundry area with a washing machine and tumble dryer, a stocked cleaning supply cupboard and a door leading to the private outdoor deck area at the rear of the house, where you can enjoy an alfresco meal. You will discover the luxurious bedrooms over the next two floors, each one has been styled individually, with some accommodating two guests and others up to three guests. All bedrooms include high quality bedlinen, towels and slippers for your comfort. Parking is available for free on the street outside in two-hour timeslots and there is also a free 24hr public car park a short walk away. Due to the fantastic central location of the townhouse, some residual noise from the disco next door may be heard at weekends. 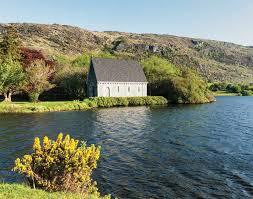 Bantry is at the heart of West Cork, where The Beara Peninsula, The Mizen Peninsula and The Sheep’s Head Peninsula meet amidst breath taking scenery. No. 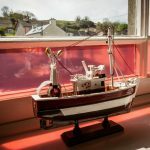 14 Wolfe Tone Square is the perfect haven from which to explore this magnificent part of the Wild Atlantic Way.